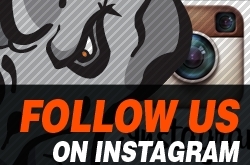 For their last regular-season road trip of the season, the Rhinos traveled to Plano, TX to face off against their Lone Star State rival, the Dallas Snipers. On Friday, forward Dillon Manchester gave the Rhinos a two goal lead after scoring two goals in the first period. Ty Erramouspe increased the Rhinos’ lead to three after scoring less than four minutes into the second. The Snipers’ Eric Eaton and Jasa Jenko cut the Rhinos’ lead back down to one before heading into the third period. With his second of the night, Erramouspe made it a 4-2 game before Karolis Krasilnikovas’s made one last attempt at a Dallas comeback with a power play goal. Rhino Max Kamper matched Dallas’ power play goal with one of his own before Dominic Erdt scored an empty netter to give the Rhinos a 6-3 win. In Saturday’s game two, El Paso started with a goal by Dillon Manchester waived off only seconds into the period. Shortly thereafter, Rhino veteran JC Dubecky gave the Rhinos their first lead of the game. Dallas’s Nicklas Pehl evened the game to make it 1-1 after the first period. After a scoreless 19 minutes, Zach Thompson scored with only 8 seconds remaining in the second period. Carrying momentum into the last period in regulation, six more Rhinos (Donald Alchin, Dillon Manchester, Max Kamper, Jonas Burman, Martin Dubcky, and Filip Schultz) scored goals to end the game with a final score of 8-1. 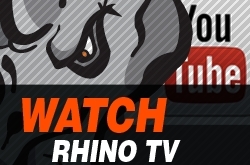 On Sunday, despite several lead changes throughout the game, the Rhinos were unable to secure a victory and fell to the Snipers, 7-5. 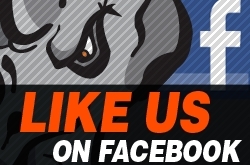 Rhino forwards Filip Schultz, Florian Seelmann, Oscar Andersson, Martin Dubsky, and Adam Stalzer each earned goals of their own, but the points weren’t enough to give the Rhinos the win. 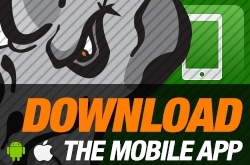 After two wins and a loss in Plano, the Rhinos remain atop the Mid-Western Division, boasting a 29-8-2 record. The Northern Colorado Eagles sit in third place, behind the Oklahoma City Blazers, with a record of 22-14-2. 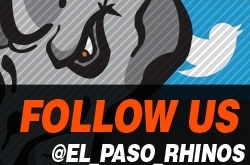 Although the Rhinos come into the series having lost a game while and Eagles enter on a four-game win streak, El Paso has won five of the six meetings with Northern Colorado this season. As the Rhinos host the Northern Colorado Eagles this weekend, the Autism Society of El Paso, Transformations Rehabilitation Services, and Amerigroup will present the Autism Awareness Series. On Saturday, fans can bid on game-worn Autism Awareness jerseys to benefit the Autism Society of El Paso. 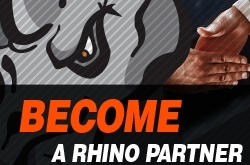 Throughout the series, the Rhinos will recognize members of the Autism community and Transformations will sponsor giveaways. 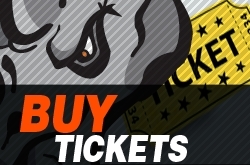 Including this Feb. 8-10 weekend, the Rhinos will play three consecutive home series. On Feb. 22-24, they’ll take on the Oklahoma City Blazers with the Paint the Ice promotion following Sunday’s game. For the Mar. 8-10 series, they’ll play the Wichita Thunder and following Saturday’s game, the Team will shave their heads for the 9th annual St. Baldrick’s head shaving event.